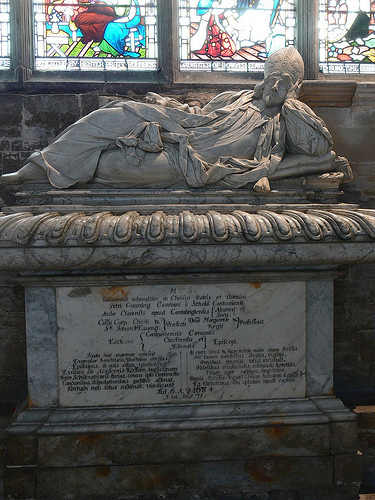 English: Monument to Bishop Peter Gunning (d1684). Ely Cathedral, Cambridgeshire. Tomb chest with semi reclining figure resting on one arm.